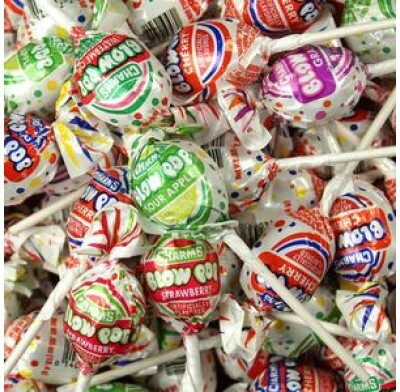 Charms Blow Pop in assorted flavors is the hard candy lollipop with the bubblegum center. These lollipops are two treats for the price of one! 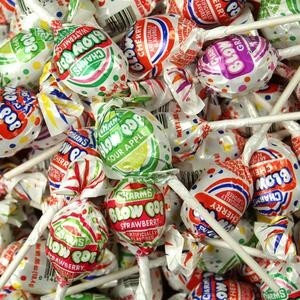 Flavors include: Sour Apple, Cherry, Grape, Strawberry, and Watermelon. Perfect for Halloween, parties and promotions. Bulk candy comes 7 pounds per bag. There are approximately 22 pops per pound.